The answer to the question in the headline, and to what makes Denham stand out from hundreds of other premium denim brands, can be found in the company moto, “the truth is in the detail,” which becomes evident when you take a closer look at the products. Founder Jason Denham uniquely balances progressive and innovative design with respect for the craftsmanship and tradition of classic jeansmaking. In some way you can say it’s a breaking of conventions, but in Jason’s philosophy you have to understand the history and tradition of jeans in order to design them. Jason Denham started his career in 1992 working in the shop of Joe Casley-Hayford. 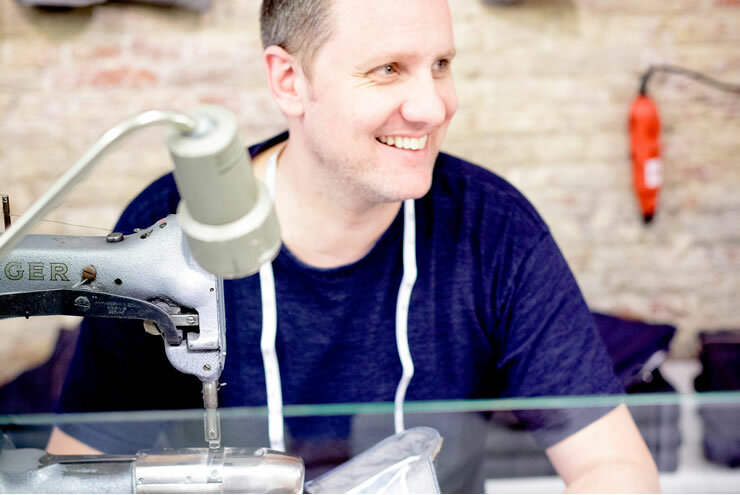 Ever since he set up his own company in the spring of 2009, Jason has made his way into the already overcrowded market of premium, progressive denim as major retailers in Holland, Germany and the UK quickly picked up the brand. His obsession with denim is the primary inspiration for the brand and he believes that the greatest results are achieved through knowledge, which he gains by researching. This is also why he has established the Denham Garment Libary that features an extensive collection of archetypal jean models as well as workwear, military clothing and travel gear from the last century up till present day. Jason thinks of jeans as an expression of your personality and lifestyle, and in his opinion there is no other product category like it. Jeans change, get ‘better’ the more you wash and wear them, and they mould to your body shape. 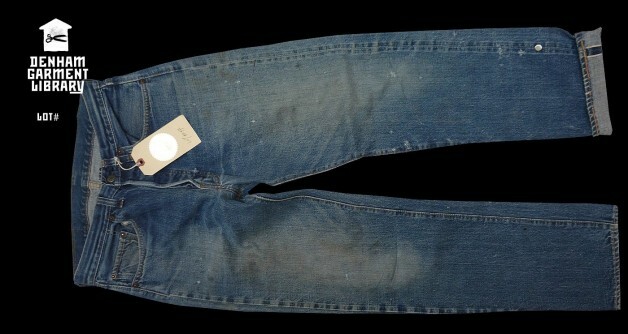 This is why jeans are still one of the most popular garments after centuries of circulation and development. 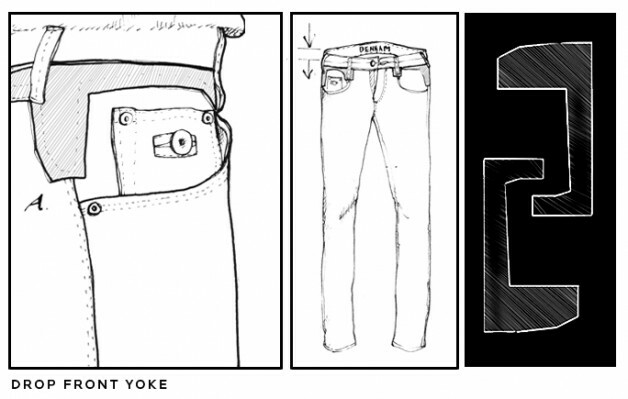 But what really makes a Denham jean is a combination of the 6 design features listed below. The first and most iconic of these is the “7-Point Pocket.” If you draw a line around your hand, the shape will have 7 points, not 5. 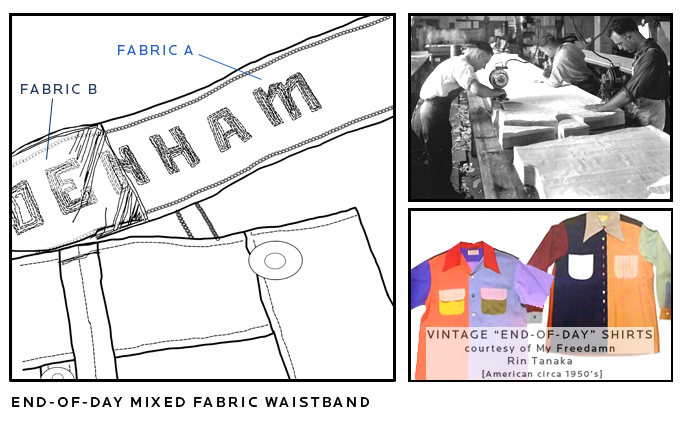 The Denham pocket is a symbol of the hand of the worker for whom workwear was originally created. Denim purists may get a little nervous about replacing a traditional 5-point pocket with something new, but for Denham it follows the same spirit of practical invention that led to the use of machinist’s rivets on a pair of pants in the first place. The use of fully tailored “Boxed Button-Holes” on pockets further represents Denham’s fascination with quality workmanship. The “Drop-Yoke” is a subtle design innovation that integrates the waistband with the back-yoke. The detail drops the appearance of the rise-measurement (the jean seems to sit a bit lower-slung) and reinforces the hip, waist and pocket zones with a rugged construction typical of traditional denim engineering. 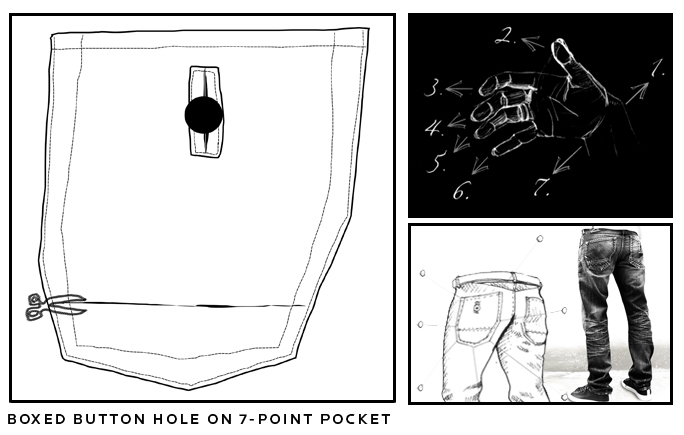 One of the most famous chapters in the mythology of the jeans is centered around Jacob Davis‘ invention and patent for riveting pockets. Still, there were dozens of other equally innovative inventions during those early days. One of them stems from 1877 when one of the Neustadter brothers designed a system to strengthen the fly construction by making ingenious use of a single piece of folded denim. Denham brings this elegant concept back to the future. One of the most elegant ways to tailor shape into garments is to use a discreet system of darts. 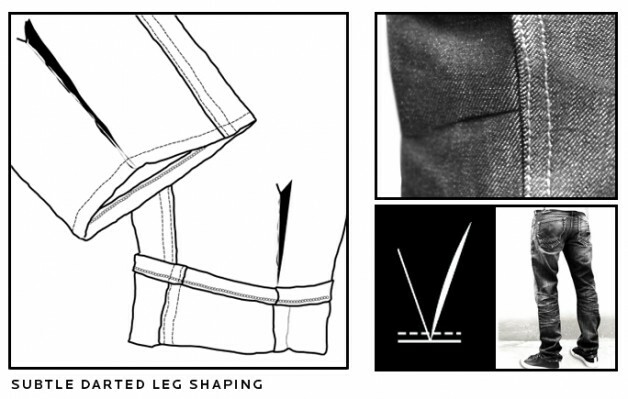 If you look closely at the construction of a pair of Denham jeans you’ll notice the “Subtle Darted Leg Shaping” technique, which is used to modernize the fit through the back knee and cuff. The “End of Day” waistband is a nod to a long-gone American factory tradition. US shirt producers in the 1950s used to halt their main manufacturing lines just before the end of the day. They would then use the time left on the clock to stitch together garments out of whatever fabric scraps were left from that day’s production. They created pretty crazy bowling-style shirts featuring yellow bodies with green sleeves, an endless stream of cool accidental designs derived from unplanned combinations of waste fabric. Denham jeans feature the same concept but in their case they “put the waste in the waist” mixing several fabrics within the waistband. Every pair of jeans bears a little piece of recognisable branding, which indicates that the product is the real deal. It represents a promise of quality from the maker to the wearer. In Denham’s case they’ve used a “Chain Stitch Scissor Logo” placed along the signature lower seam of our two-part hip-pocket. They see it as a friendly reminder to keep cutting.